When we say safari, we instantly think of the wild – jungles and untamed animals – that makes it a fitting theme for a boy’s bash. But for today’s party inspiration, we got something unique that roars dainty and fierce at the same time. Our Quinn of the jungle celebrated her first birthday with a, get this, boho chic-inspired safari fete! It has all the right elements and lovely shades that gorgeously turned an otherwise boyish theme into something definitely Pinterest-worthy! 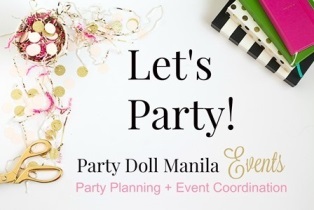 Planned and coordinated by Party Doll Manila Events, who could’ve done the amazing venue transformation but none other Dianne Khu Designs and her creative team! Get out of your teepees and don your binoculars to view the celebration’s tasteful snaps from Mike Sy Photography and Bella Morcen Films. What’s a safari without the adorably happy jungle critters? We got that and more on Quinn’s colorful, whimsical invites! Lo and behold, guests were welcomed by majestic standees of a lovely hippo and an endearing giraffe! We’re totally digging the dream catchers, lush greenery, purple teepees, and fancy seats for what we could imagine as a campfire storytelling sesh. Check out Quinn’s growing-up photos! True to the boho chic theme, we’re delighted to see dainty pastel shades of pink and purple with mint in between. The ceiling décor is truly stunning with drapes, lanterns, macramé, and dream catchers cascading down. It was oh so enchanting, especially with the verdant wreathes and vines! Where the show happens definitely took the center stage, filled with all the playful elements from Quinn’s invites. We saw the charming, cuddly jungle friends flanking the stage, which was festooned with chic teepees and lush greens. We loved how every table had different centerpieces featuring each darling jungle friend. Made from felt, these cute critters were just too irresistible to miss! And those table napkins wrapped with Quinn’s fancy party seal? Totally got our nod. When we say this takes the cake, we mean it in a good way. Quinn’s cake was a beautiful, three-layered creation bedecked with sweet critters hanging around made from the wonderful kitchen of Baked Twinkles! And that dreamcatcher in the middle? Such a scene-stealer, indeed! Our sweets-loving, dainty hearts were squealing with excitement as a charming array of cookies, cupcakes, cake pops, and rice krispies was laid out for the guests. Everything was delicately handcrafted for the finest details and lip-smacking taste! To join in on the celebration, Quinn’s furry friends made quite a show as they did a little “The Lion King Quinn” number for the guests! What’s a party without fun and games? We’re positive that kids and adults alike had a great time participating during the program – all for Quinn’s sake. Look at the adults doing the all-time fave ‘Baby Shark’ dance! All sorts of amazing prizes, of course, await the winners! For the active kids, there’s nothing more joyous than bouncing off inflatable playground for some rough and tumble. Or let their minds take creative shapes as they explore the ball pit and colorful toys for play. How about a mini-session for face painting to get their glam up? It’s never too early to start ‘em young! Guests who fancy something savory instead of sweet can take their pick from a feast of yummy fishballs, corned dogs and finger-licking fries. Afterwards, they can cool down with a bite of ice cream-filled egg waffles or lemonade! Who says bears aren’t invited to the party? For Quinn’s giveways, ‘We Bare Bears’ bags were stuffed with goodies for guests to take home, as a thank you token for all who celebrated her first milestone. The adorable celebrant absolutely looked pretty in pink! It was a truly an amazing celebration of Quinn’s first fete, which perfectly meshed tres chic with a roaring good time!